Lime Light is a premium Joomla business template built on top of the responsive Vertex framework. It is suitable for any type of site such as business, product related, or marketing sites. It comes with 95 module positions and 12 module class suffixes to give you unlimited possibilities for your site’s layout and design. It also has many features that allow you to customize your site the way you want. 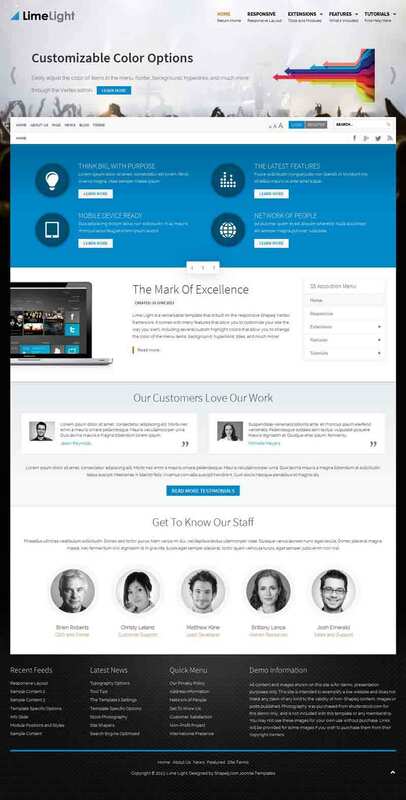 Join the Shape5 Joomla Templates Club to download this template.